t movements whereas others were driven by companies. We decided to pick our four favourites from the past year. Let’s take a look! In September KFC started following eleven people on Twitter. These were the five Spice Girls and six people called Herb. Seems fairly random, right? Although it didn’t seem noteworthy, this was actually a big, and really quite funny, marketing ploy. ttention of Twitter user Mike Edgette, who quickly realised what was going on – KFC was following 11 different herbs and spices! Mike’s revelation tweet received almost 400,000 retweets and three quarters of a million likes. 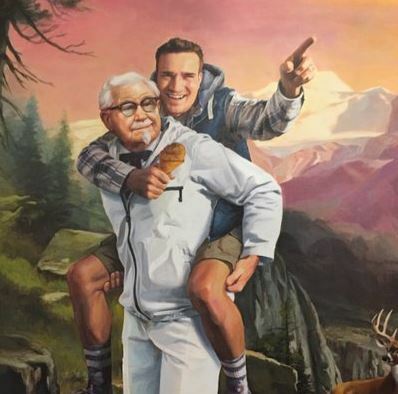 Activity on the KFC twitter feed exploded and the next stage of this campaign involved painting a picture of Mike Edgette riding on the Colonel’s back with a chicken drumstick in his hand (see featured image). Again, this was shared and received tens of thousands of likes and retweets. A simple campaign, however one which gained worldwide coverage. We loved it! The Women’s March was a worldwide peaceful protest on the 21st January 2017. Most of the rallies were a protest against Donald Trump following his inauguration as President at the start of the year. 408 marches were planned in the US and 168 marches across 81 other countries. From its inception, this campaign was a social media phenomenon. 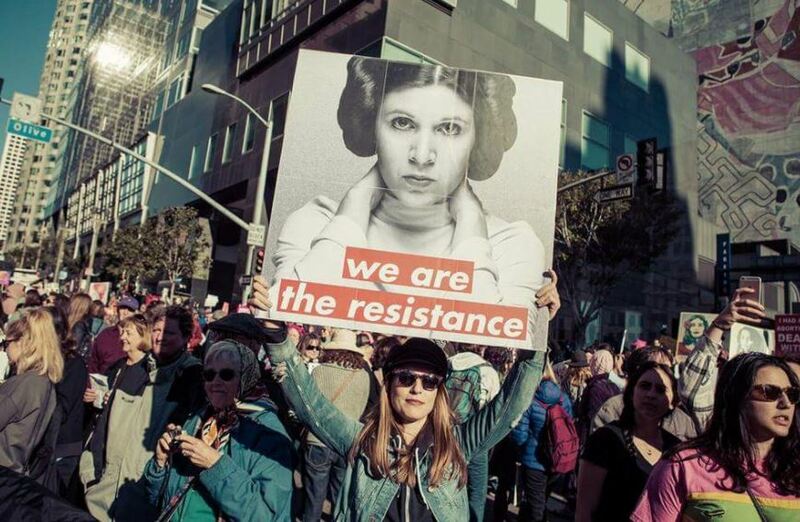 Mainstream media didn’t pick up on the marches, so instead the word was spread through a number of social media channels including Facebook and Twitter. The hashtag #womensmarch was used to get the word out, and was subsequently used 11.5 million times. It could be said this was the largest single demonstration of the power of social media to create mobilisation. This campaign illustrated the power of social media. Even without the support of the mainstream media, millions of people were able to be reached and rallied together. This was a true grassroots movement and the speed in which it spread was phenomenal. Not only was this campaign informative, it was also incredibly creative. Worldwide Breast Cancer ran #knowyourlemons as part of Breast Cancer Awareness Month. The unique campaign featured twelve lemons showing different symptoms of breast cancer, in an attempt to make it easy for women to recognise and understand the signs of breast cancer. This was seen by over 166 million people and shared more than 45,000 times! A simple photo went a long way to saving lives. Over the course of 24 hours, Airbnb used Facebook live to live-stream unique experiences around the world, including surfing in LA all the way to street dancing in Seoul. Each video was filmed from a first-person POV so the viewer could feel like they were actually at the unique destinations. By using Facebook Live, Airbnb managed to create an experimental campaign which brought together millions of people from around the world at one time. Six million people participated in just 24 hours. The coverage of this was huge and Airbnb reported a major increase in engagement and sales. This campaign achieved its aim, and despite it being short, its effect was immense. 2017 was packed full of imaginative and inventive campaigns that had a global impact. Perhaps the best social media campaign of 2017 was KFC’s imaginative following strategy. A social media experiment that took Twitter followers a month to spot gained global coverage and increased engagement with KFC’s feed. And how much did it cost? Not a penny. Keep your eyes peeled this Friday for our next post - the four biggest marketing FAILS of 2017!